National Philanthropy Day® (NPD) is a special day set aside to recognize the great contributions of philanthropy - and those people active in the philanthropic community - to the enrichment of our world. NPD provides an opportunity to reflect on the meaning of giving and all that it has made possible. First held in 1986, NPD celebrates the endless daily contributions individuals and organizations across the world make to countless causes and missions. 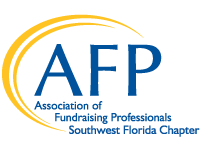 Last year, more than 100 AFP chapters held NPD events and activities across North America. Through NPD, participants are able to show appreciation for all that has been accomplished in the name of giving, as well as show that there is still more to do. It's our chance to step into the spotlight for a brief moment and remind our communities, our society and the world that the spirit of giving is alive and well. NPD, which is registered with the Patent and Trademark Office, U.S. Department of Commerce, is coordinated by the Association of Fundraising Professionals. We hope you will choose to be active in celebrating this year's National Philanthropy Day®, and we encourage you to work with other organizations in your community to promote it. The philanthropic community is strong yet varied, and each individual voice is equally important on this day of recognition and reflection.